The vehicle and fix station robust Clansman Morse Key. 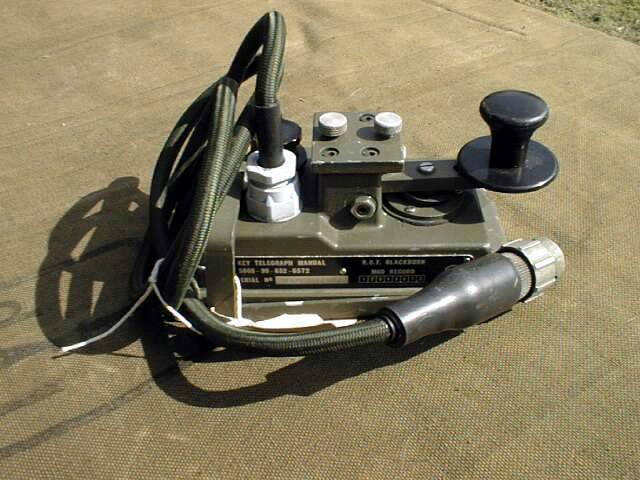 It is used with the VRC-321, VRC-353, can also be used with Clansman back-pack radios such as PRC-319, PRC-320 when used in a stationary role. The cable terminates with a 7 pin standard Clansman audio plug. It is a great Morse Key to use and can easily be modified and used with other radio equipment. NSN: 5805-99-652-6572. Supplied in good condition.